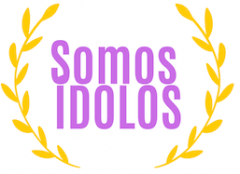 Somos IDOLOS™ is a platform to promote diversity and inclusion of migrants in society. Our audiences include volunteer groups, local authorities, corporations, and associations. Indeed, anyone of goodwill who is concerned about the hateful public discourse against migrants. Somos IDOLOS™ allows the voices of individuals to shine through and be heard. We provide an honest insight into the triumphs and tribulations of migrants of all walks of life and all phases of their migratory journeys. While we aim to promote positive judgments of migrants, we do not shy away from presenting life as it is encountered. We aim to combat xenophobia and discrimination in an instance when so many are exposed to negative stories about migration – whether on our social media feeds or on mainstream news. The anecdotes and testimonials shared on this blog help us understand what words such as “integration”, “multiculturalism”, and “diversity” actually mean. We also occasionally share other topics such as cultural fashion trends. Through stories collected by our team from around the world, diversity finally obtains a human face. Share your story with us.